Shopping done? Family in town? A mountain of gifts to wrap? A fridge full of food that needs cooking? So what the hell are you doing reading my blog? 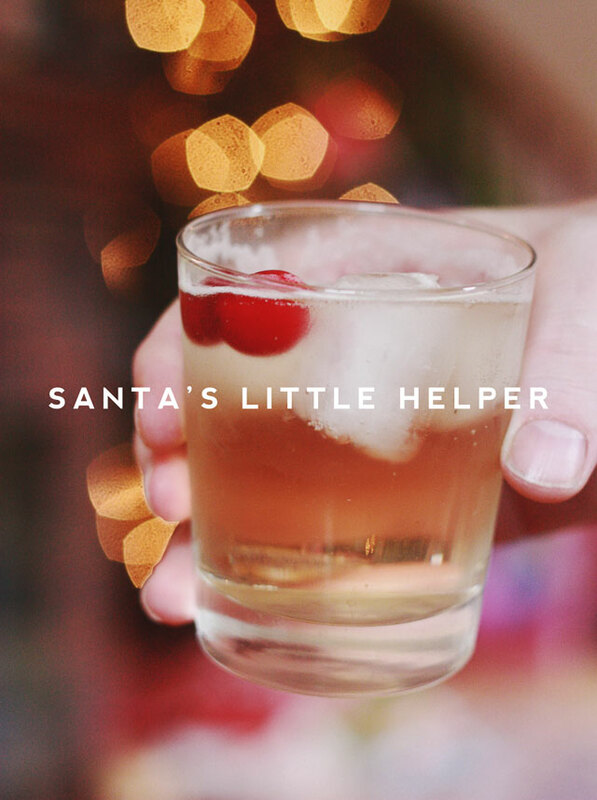 For anyone who needs a good boozy cocktail to make it through the hustle and bustle, or to make it through another round of listening to Aunt Merna’s hysterectomy play-by-play, I suggest seeking the assistance of Santa’s Little Helper — a delicious wintertime cocktail with touches of cinnamon, clove and cranberry. 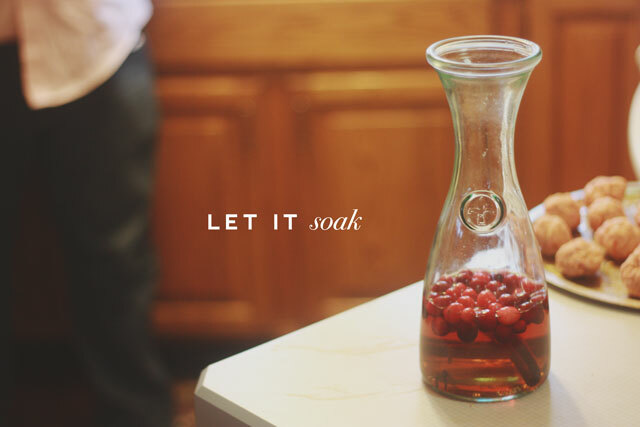 It makes a great libation for entertaining anytime, especially come Christmas. It also looks super cute in a glass and your friends will think you know how to mix cocktails like a champ! Soak two cinnamon sticks, some whole cloves, and a bunch of whole cranberries in good bourbon (it’s Christmas, you can splurge) overnight. The next day, fill a glass with ice. Do three parts infused bourbon, one part triple sec, and fill the glass with 7-Up or some other lemon-lime soda. Garnish with boozy cranberries. Drink until full of holiday joy. The recipe comes courtesy of my cousins John and Kerry. Originally called “Mama’s Little Helper”, there are multiple variations on the bourbon/triple sec/soda combo. It’s a great base for concocting your own signature cocktail. Update Dec 9, 2013: I went to mix a batch of these last weekend and they were out of bourbon but the security cop guy suggested I swap out the bourbon and cinnamon sticks for Fireball Cinnamon Whiskey. Holy cats! It tasted like those atomic fireball cinnamon candies – hot and spicy. Not as smooth as the bourbon but it’s inexpensive and it up’ed the flavor factor in a BIG way and I didn’t have to do any soaking overnight. I imagine it would also mix with coke pretty swell, too. Worth a try. In any case, I raise a holiday toast to you, Binny’s Liquor Barn Security Cop Guy. May your days be merry and bright! How did Aunt Betty do with her cards? Merry Christmas! 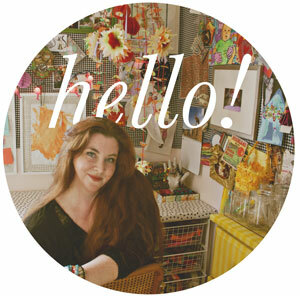 I always look forward to reading your blog and today is no different! I wish I would’ve seen it yesterday so I could’ve run out to buy these ingredients. We do have Bourbon…go figure! Thanks for all of the great ideas AND eye candy! well of course I am reading your blog Peaches 🙂 rain, snow, sleet, unfinished cooking, baking, shopping….you are a part of how I start my day off right! this looks absolutely delicious! i would also like to try something with some star anise, like a vodka perhaps. Fabulous! I want to try this and the picture is gorgeous! Can’t wait to try this. One question – are the cranberries raw? Yes, the cranberries go into the bourbon raw (they come out pickled). I just saw something on Pinterest about using frozen cranberries instead of icecubes in holiday cocktails — very pretty. How much bourbon do you start with? It depends how big of a batch you want to make — the mix ratio stays the same. I usually start with half a bottle — that should make around ten servings, depending how heavy you pour. I’ve been reading your blog for a while now, and I love your projects, but I have 2 year old twins, so deep in my heart, I know that I will probably never get around to crafting and making beautiful glittery flamingoey things. But this… this is something I will actually make. Thank you, Aunt Peaches.